This is Daniel Raver of Zanesville, OH again. 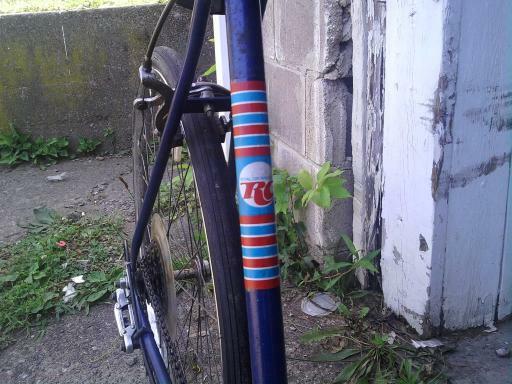 I have completed my restoration of the 86 Columbia RC Cola Bicycle I previously spoke to you about. I’m pretty happy with the end product. The metal of the brake levers and the brakes themselves was very pitted and rusted. I polished them for 7 hours and am convinced I can do no better. Take a look at my pics please. 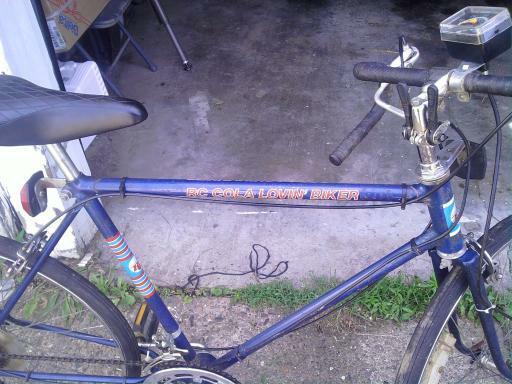 I would like to have this bike posted to your awesome site and I would also entertain offers for purchase of this bike. Thank you. Nothing’s more fun than an all night adjustment fest! The number one question regarding this magnificent machine, though, is does the speedomter work? yes the analog speedometer and odometer work absolutely fine. when i bout the bike it had 23 miles registered on the odometer. in the short time ive owned it i’ve rode it enough to register 41. and the speedometer works great and smoothly too. Question: Was this Columbia made in Massechusettes or overseas? Comment: RC is my favorite brand of cola, and drinking it shows a person is more sophisticated than those who drink Coke or Pepsi. I think riding this bike shows sophistication as well. yes american made in westfield, mass. awesome words too made in the u.s.a. Saw a “7 Up” bike today in Central Station Flea Market in Hot Springs, Arkansas. It was in very good condition and priced at $47. Looks like it was made in the mid-1980s with an ATB riser bar and semi-knobby tires. My brother-in-law has an Orange Crush Mtb very similar to the 7up one you describe. Unfortunately, at some point in their youth they thought it would be a good idea to paint the entire thing “John Deere Green”! Doh! 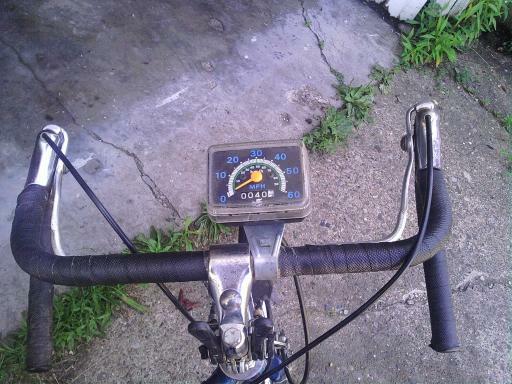 i have one of these bikes, no speedometer .. what would it be worth? it’s in ok shape, needs some air. 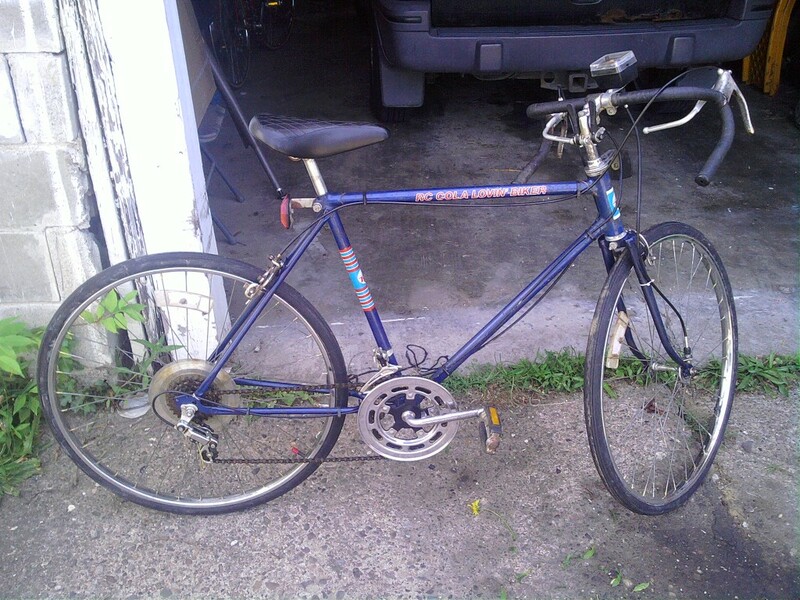 I have the same bicycle that I am trying to restore. Would you happen to know the tire size? 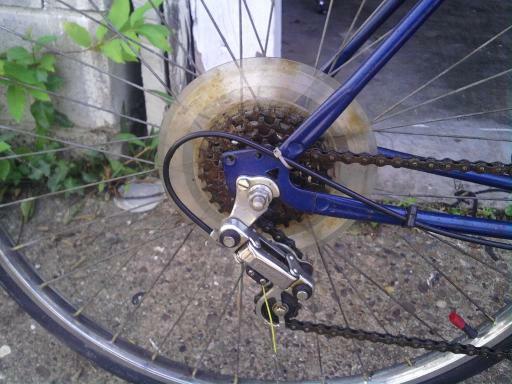 The tires cracked off when I picked it up…no bike shops have been able to help me! Please let me know. Thanks! It’s still hanging in my garage let me look. 26 x 1 3/8. Recently found and acquired an A&W Columbia 10 speed that is absolutely never been used! Complete less the hand grips, with a root beer colored saddle in a light tan frame color. Still trying to find the vintage and info on this bike. I just picked up one of these. It is a Columbia RC Cola in the same blue. I found this one in Nogales Arizona about 2 blocks from the International border. I will be bringing it home tonight and start my restoration. I paid 25 dollars for it. How much would you say a bike like this is worth? Sadly it still hangs in the garage. My hands are garbage now and it’s gotten rusted again. I don’t have a value for it. I’ve attempted to sell it many times but the cost to ship an assembled bicycle is just stupid and I’ve been getting low ball offers for years. My best advice is that it is worth whatever someone is willing to pay for it.